Pinks, our in-house florist, has the most stunning displays of floristry throughout the whole year. 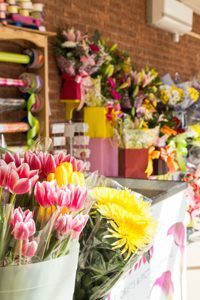 They are the place to call for the perfect flowers for any occasion. 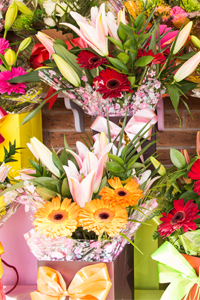 The shop stocks hundreds of fresh flowers and as a result your bouquets and blooms are stunning and long lasting. If you’re buying flowers as a gift, why not consider ordering a hamper from the farm shop to go alongside them? Pre-order by telephone or visit the Farm Shop to pick up a ready-made bouquet.